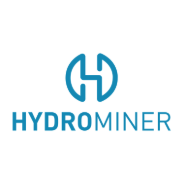 The H3O token lets its holders participate in HydroMiner’s growth and value. Tokenholders will be able to vote on many business decisions, including what currency to mine. H3Os include the right to participate in the profits and losses of the company, as well as a tag-along right. Up to 80 % of the profits and losses of the company are attributed to holders of H3Os and in case a qualified majority of shareholders sell their shares, holders of H3Os will also benefit.